Jessica trained at the University of Chichester, where she graduated in 2013 with a BSc Honours in Sports Therapy. Through her degree she became a member of the Society of Sports Therapists, which works alongside the Health and Care Professions Council (HCPC). 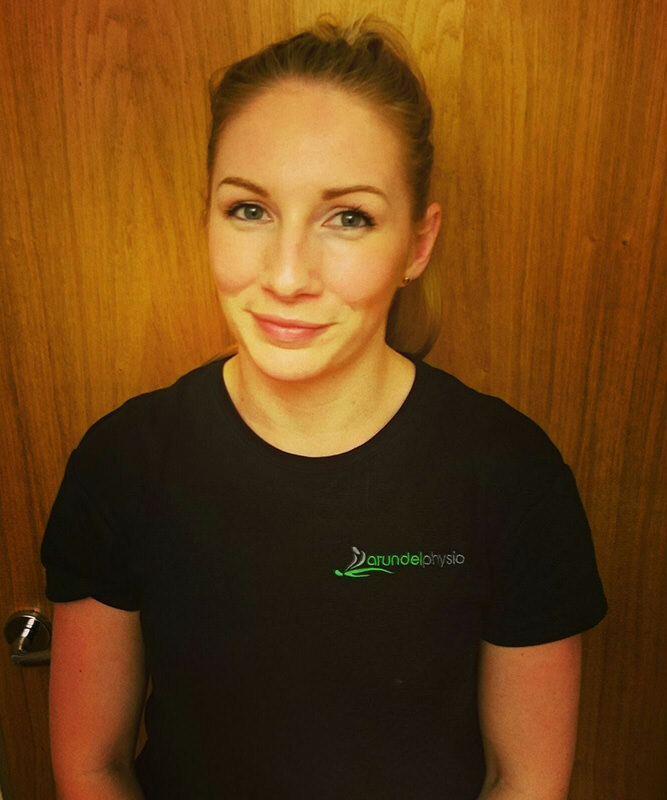 Since graduating Jessica has worked for several sports teams and private clinics before joining Arundel physio two years ago. She has gained valuable clinical experience working alongside physiotherapists, massage therapists, personal trainers and sports coaches and from treating a wide variety of clients from athletes to the elderly. Although Jessica is a sports therapist she is fully qualified to treat most musculoskeletal conditions including back and neck pain. Jessica is now working towards her advanced Pilates training through APPI and continues to work on her CPD as a Sports Therapist, she believes that research and reflective practice can be so insightful to supplying and achieving the best treatments for her patients. With the goal of achieving optimum levels of function, occupational or sports specific fitness, regardless of age and ability. Jessica’s expertise lies in rehabilitation of musculoskeletal injuries, through the use of manual therapy, electrotherapy, Pilates and sports massage.